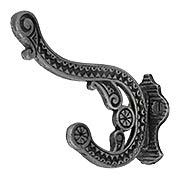 A perfect marriage of form and functionality, our heavy cast brass Double Scroll hook features a classical pattern on an endlessly useful double hook. 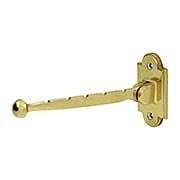 Available in five finishes with easy surface mount installation. Our Ulysses Coat Hook is an authentic reproduction reminiscent of late 19th-century design. Constructed of solid brass, it features a neoclassical ram's head motif and comes in our exclusive Antique-by-Hand, a finish that ages gracefully over time into a beautiful natural patina. 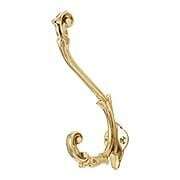 The Ashville Double Hook is an ornate, yet understated late Victorian-era style. 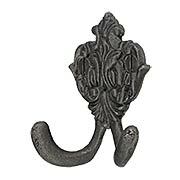 Made of solid, cast brass, it comes in our exclusive Antique-by-Hand, a finish that ages gracefully over tome into a beautiful natural patina. 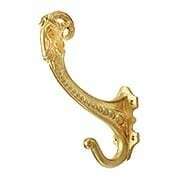 Our Ulysses Coat Hook is an authentic reproduction reminiscent of late 19th-century design. 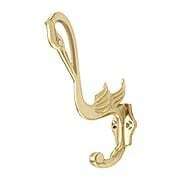 Constructed of solid brass, it features a neoclassical ram's head motif and comes in an array of classic finishes. This decorative accent stands up to heavy use in your busy entryway, mudroom, or wherever it resides. 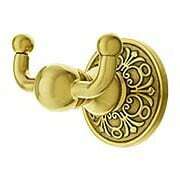 What a dignified addition to any home! 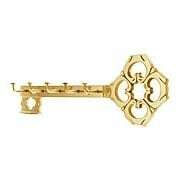 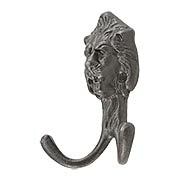 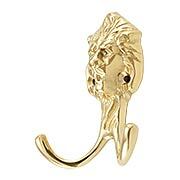 This lion head hook dates from the Victorian era but is Neo-Classical in spirit. 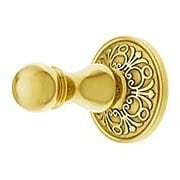 Its regal design is reproduced in solid cast brass, available in two classic finishes. Cast in solid brass and adorned with a graceful swirl motif, this elegant hook is ideal for use in your busy entryway, kitchen, or wherever it resides. 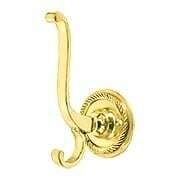 The lower hook is ideal for lighter items and jackets while the upper is perfect for heavier coats and bags. Use it alone or grouped together on a coat rack or decorative back plate. Cast in solid brass and adorned with a graceful swan, this elegant hook is ideal for use in your busy entryway, kitchen, or wherever it resides. 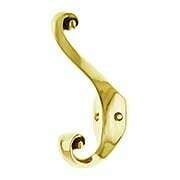 The lower hook is ideal for lighter items and jackets while the upper is perfect for heavier coats and bags. 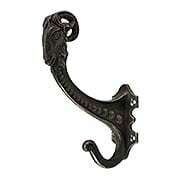 Use it alone or grouped together on a coat rack or decorative back plate.